How do you get someone from one place to another when there is a vertical ascent that must be overcome? Fixed ladders are a simple solution to this age-old problem. 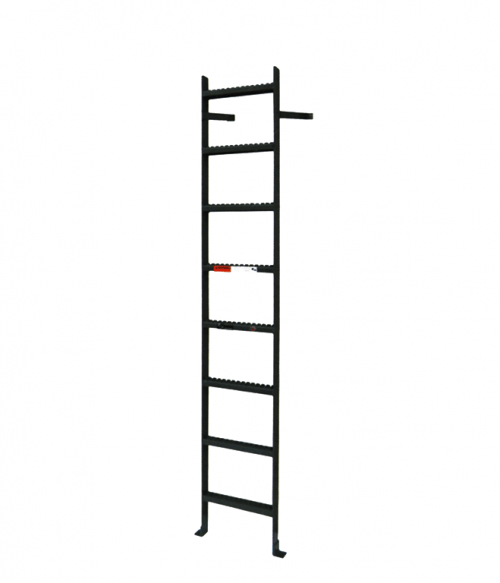 These ladders affix directly to a wall, a dock, a storage tank, or whatever obstacle or asset you have which requires direct attention from personnel. 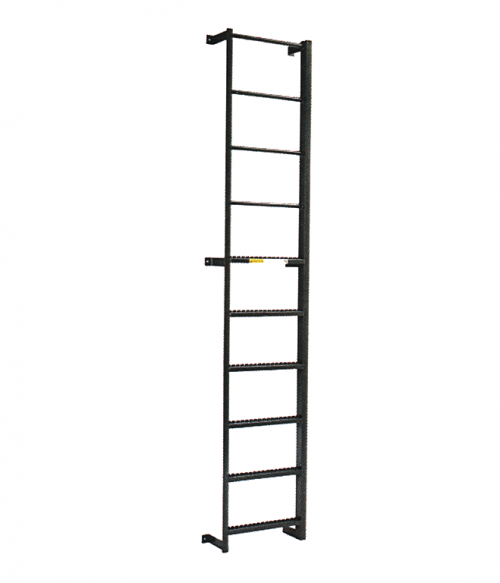 There are several styles of fixed ladders that are worth considering if this is an equipment asset you require. Hooded ladders. 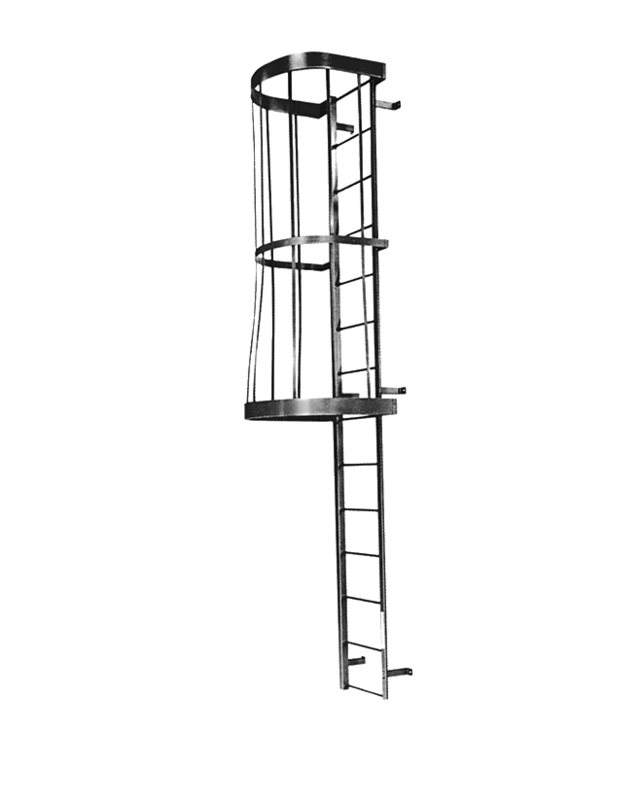 This style of fixed ladder provides a cage of protection around individuals as they are climbing. Often found on ladders which require larger heights to traverse, it affords your personnel with an extra layer of safety. Handled ladders. 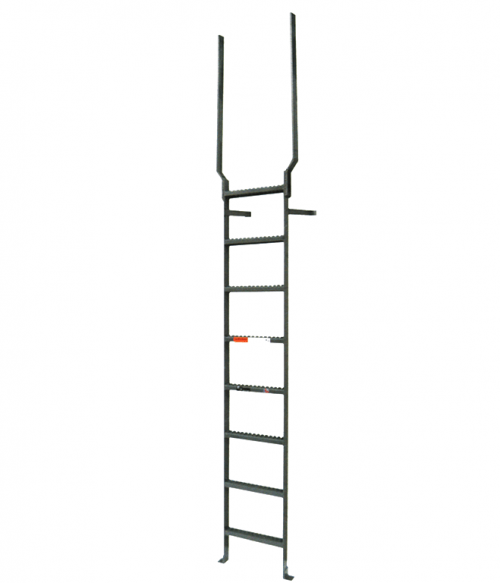 These fixed ladders are perfect for outdoor loading docks or other entryways where personnel need to be able to pull themselves upward. The handle allows personnel to position themselves properly as they prepare to descend the ladder as well. Standard ladders. 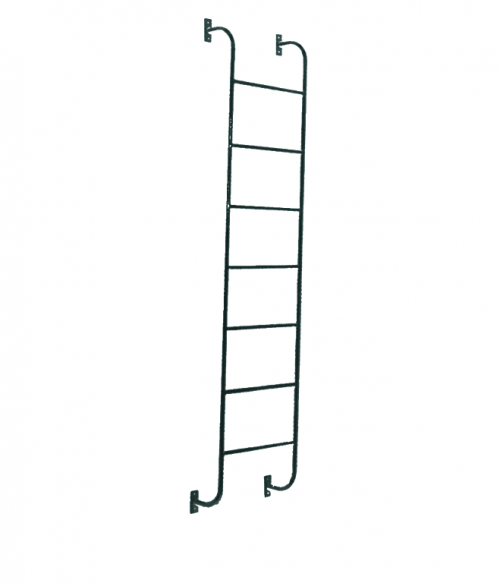 This fixed ladder is your basic ladder that provides affixed rungs to climb or descend. It is an affordable and practical solution which improves access immediately. At Factory Equipment, we also keep walk-thru fixed ladders and side-step fixed ladders in our inventories as well. 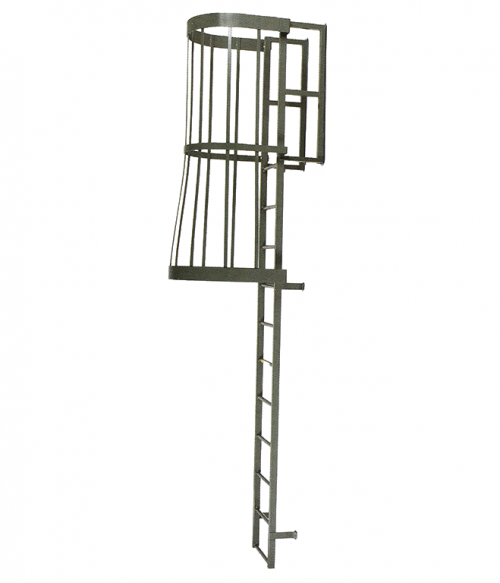 A vast majority of our ladders are made from heavy-duty aluminum, allowing you to have a weather-resistant ladder that is still lightweight and durable so it can be used on a frequent basis. The benefits of an investment into a fixed ladder are clear. You gain the access you need without the cost of an aerial lift or another equipment investment. If you’re ready to find the right ladder to meet your needs, then our team can help you find the equipment with the correct dimensions. This way you can solve your problems with a simple and budget-friendly solution. Contact us today with any questions you may have regarding fixed ladders and their benefits.